6 Weeks to a New You! It sounds hard to believe, but it is true with Bradenton, FL chiropractor, Jay Schwartz, DC, of SunCoast SpineCare. Many ChiroThin Weight Loss patients lose significant amounts of weight in 6 weeks that they look and feel like a new person. It doesn't matter whether you are male or female, 20 or 70 years of age. Some people lose more, others less, but here is the fact: As long as you follow the program, you will definitely lose a lot of weight on this regimen without excessive exercise, drinking shakes or eating expensive prepackaged food. The ChiroThin program is a very specific blend of amino acids, vitamins, minerals and cell salts that when combined with specific blends and amounts of low glycemic index/anti-inflammatory food will help you become healthier and lose weight safely. Until recently, programs similar to ChiroThin have been used almost exclusively by the rich and famous because of the cost. This is no longer true. The average person can afford the program and with proper instruction, supervision, and follow-through, each individual will be amazed with the results. The ChiroThin program consists of three phases. Phase 1 consists of loading in order to increase your metabolism astronomically. Phase 2 is the losing phase. By eating a low carb, high protein, low-fat regimen, and taking drops that will curb your appetite and force your body to break down fats that not normally are metabolized to energy, you will lose the weight and the undesired fat. 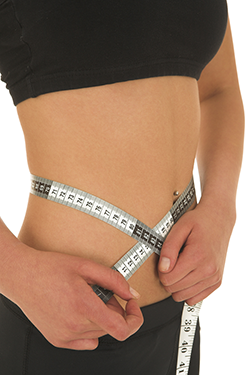 This is why some patients go through periods of losing inches without weight loss. Phase 3 occurs after 6 weeks and that is called cycling or maintenance depending on the level you have achieved. If you need to still lose more weight, then you cycle for about 3-5 weeks where we work with your base metabolic rate and exercise to determine how many calories you can handle in order to stabilize your weight. Then you would begin again with Phase 1 to increase your metabolism and prepare again for Phase 2 which is additional weight loss. If you have reached the desirable weight, then you remain in Phase 3. What is special about this program is that the goal is health and not just weight loss. It is proven that 95% of people who "diet" gain the weight they lost plus another 10% within two years. ChiroThin is revolutionary in that you lose the weight relatively quickly because you are constantly "fooling" and changing your metabolism into helping you lose weight and break down or mobilize fats. The overall goal is HEALTH and living a long high-quality life to, hopefully, 120 years. We do this through lifestyle and behavior modifications and changes. We will be with you every step or pound of the way! Fast, Long Term Keep it off Weight Loss is just DROPS away. Free Consultation to determine if you qualify. Start your journey towards a healthier you with our weight loss program! Contact the chiropractors at SunCoast SpineCare in Bradenton, FL by filling out our Contact Form or calling (941) 365-6400 to schedule your consultation today!